Out of stock! 20th Open Road Fest- Super Early Bird Ticket €55,00 Limited number, up to stock! 57 available	 20th Harley-Davidson Open Road Fest CAR Parking Ticket €40,00 Only for car! 95 available	 20th Harley-Davidson Open Road Fest Trailer Parking Ticket €40,00 Only for trailer! Unlimited available	 20th Harley-Davidson Open Road Fest VIP Upgrade Festival Ticket €45,00 Doesn't provide entry to the festival! Unlimited available	 20th Harley-Davidson Open Road Fest VIP Upgrade THURSDAY Ticket €20,00 Doesn't provide entry to the festival! Unlimited available	 20th Harley-Davidson Open Road Fest VIP Upgrade FRIDAY Ticket €20,00 Doesn't provide entry to the festival! Unlimited available	 20th Harley-Davidson Open Road Fest VIP Upgrade SATURDAY Ticket €20,00 Doesn't provide entry to the festival! 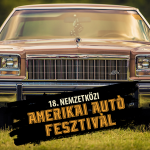 Self-forgotten fusion on two wheels, hard rock music on the stages – in 2019 for the 20th time, engines will scream again at the Lake Balaton, so that we sink into pleasure and feel the freedom. ➡The world famous, Swedish rock band the Europe (is coming to the Harley-Davidson Open Road Fest. ➡World-hit Deep Purple songs by “The Voice Of Rock” Glenn Hughes at Lake Balaton, Hungary. Come and enjoy the legendary voices, songs and Harleys!